humor and sabotage | A Precarious Independence…. Yet another classic BW film – to my mind the best of them – about Historic Shanghai (SANS waiguoren!). Though it could be about any Big City slum…”Night Inn” (“Flophouse”), 1947. Once again: the credit sequence and its underlying montage catch our attention. How does the matrix of actor and enacted operate and what view of social morality does it pre-communicate? How ambitious is the portrait of Urban Place as an overbridging unity? Why did its eye-catching portrait take such precedence in the first minutes of the 30s films? But here cease to enthrall by the post-War years? (After all, the Shanghai Bund and other of that city’s icons from the 30s have not just survived but- as “restorations” – climbed very high indeed in the post-1980s re-imaging of China). Again, the “overture” (credits, establishing shots, aerial takes, etc) has a great deal of impact- more than in these times – on how we apprehend what follows. Shanghai, still dark (阴暗) and gloomy, perhaps even more so now that we are looking back from the late 40s. 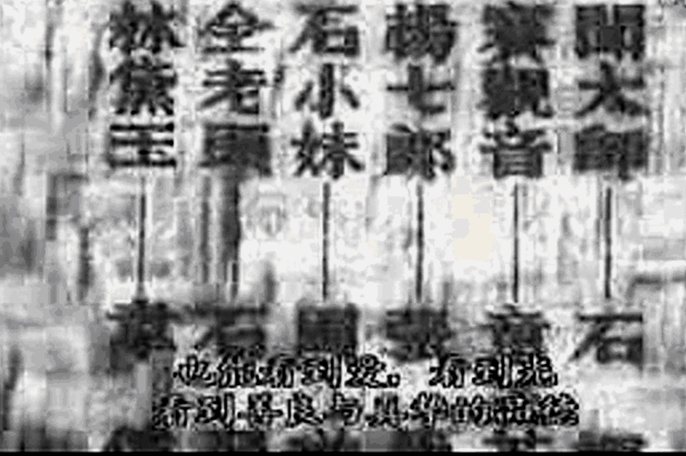 Dir 黄佐临, playscript 柯灵, 文华影片公司 studios, rel. 1947. 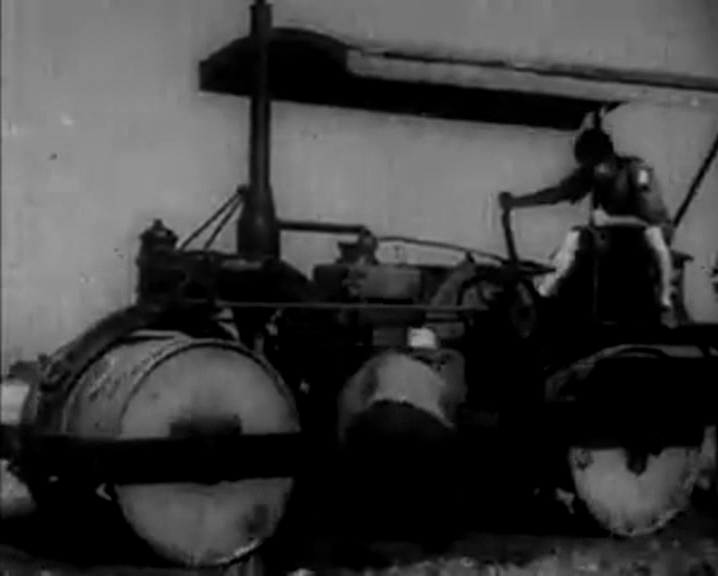 But the screen credits play out in a way entirely different from the ’30s “left” films discussed above. The opening sequence is characterologically specific – actors/characters are all people with sharp-etched names, often caricatured ones, who make choices (or discover by trying that they can’t). They are all trapped yet also above or beyond mindless despair (Malutianshi), or for that matter “chin up” bonhomie (Crossroads) an affectation that still overrides character and choice. So they not only have mis-en-scene appellations. 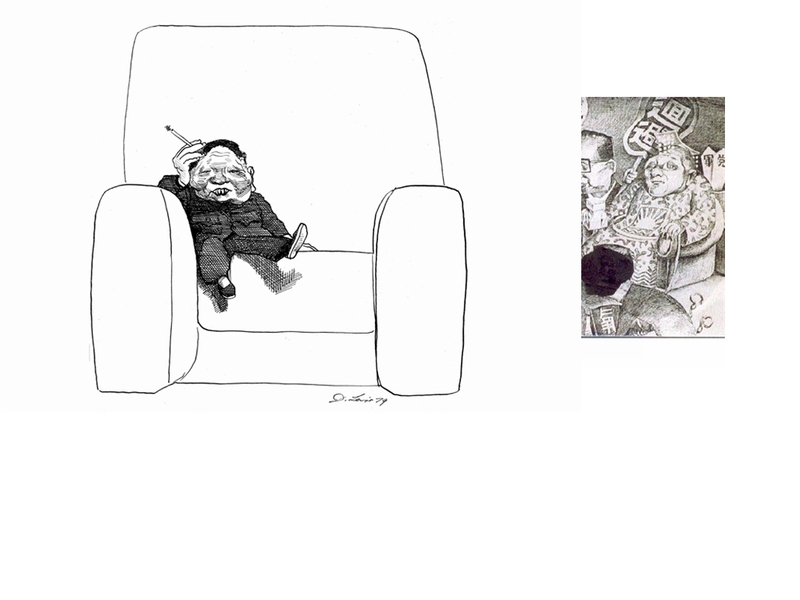 But abrasively ironic ones, taking us before we start, into the conflict between self-perception and other-perception. The iconic music+sound-film of Shanghai in the pre-War years is – I think all will agree – Mu Yuanzhi’s Street Angel (malutianshi), Mingxing Studios, 1937, semi-sound. Studies of pre-1949 Chinese film rarely appear with full filmscript and dialogue/lyrics in translation, but this one does. (By Andrew F. Jones, 2000, available at OSU’s MCLC Resource center (http://mclc.osu.edu/rc/pubs/angel/). That is no coincidence: It is that widely studied, and deservedly for the director’s skill in montaging or otherwise signalling double meanings is sans pareil. Its subject or rather topos? The film’s opening titles – highlighted by a very slow pan down the side of a luxury art-deco highrise (for rich foreigners) and then a splendid montage of bar/hotel/dancehall neon lights (for dandified Chinese, taxi-dancers and whores)- prefigure what we shall see: a grim story of life in the Lower(st) Depths of the Shanghai Neopolis, what life is “like” for an admixture of street “professionals” chained to the entertainment + “leisure” industries (“food and fun”), and that is what we are shown. For-hire “Western-style” bugler, newspaper vendor, barber, saloon songstress, fruitseller, unemployed semi-mute, and prostitute. All under the hoof of downmarket victimizers: landlords/ladies, tavernkeepers, showbosses, brothel madams, and of course petty gangsters dealing in human souls and opium etc. “The story takes place in Shanghai in 1935. It is the end of yet another day of scrambling for a livelihood along the paradeway/boulevard (malu) for these 5 gallant street-brothers who (are engaged to) “share in both hardship and blessing”, and they have returned to their cramped second-story digs in the Taiping (“Peaceful”) Quarter. Here I shall begin from the end and with a notated subject that i fear most of you will not read/hear/ even intuit from the script alone. There is a point to this, though. What we see (leave it at that) is a persistent but impossible to translate sequence module characteristic of most – just about all – stage or open-air “aria” song, usually as sung by fem-gendered voices, called (a confusing translation!) “tune-counter”, counter in the sense of marker or chip, or even a card, 牌 pai. A kind of label with internal hint (key, rhythm, BUT NOT MELODY) of the opening line of the song to come. For reasons no one has tried to explain, this mini-overture (never sung, always left to voice-mimetic instruments, mainly the 2-string “fiddle” or erhu) is almost always inserted as the “counter for xxyy” before XXYY is heard. What is it, and what is its function? 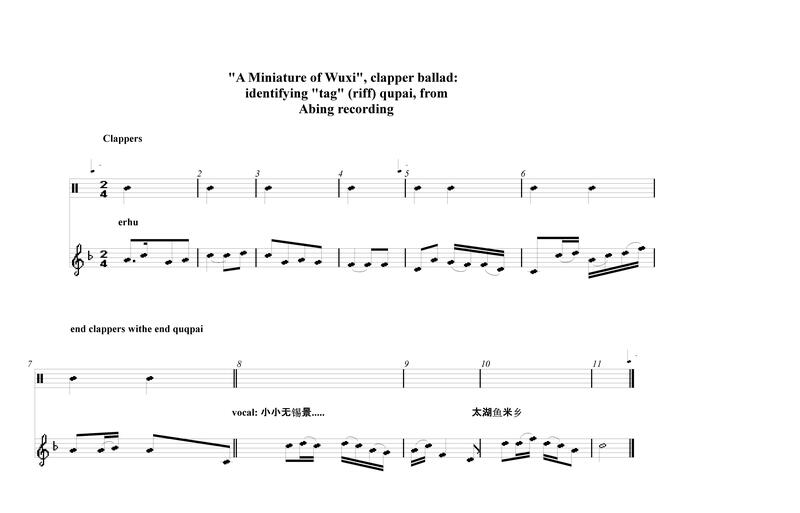 Author’s Transcription of “Wuxi Lakeside Miniature” (xiaoxiao Wuxi jing) as recorded in film erquan yingyue (1979): “tune-counter” in msrs 1-6, much abbreviated. To my excitement I learned yesterday that the new in-plan subject for the annual Sinomusicological “summit”, hosted by CHIME, will be “Sound, Noise and … Everyday Soundscapes in contemporary China” ( Aarhus University, Denmark / CHIME, 21-24 August, 2014). At the most obvious level, I suspect what accounts for the qupai pre-announcement is (just as with the overture) the need to get audience attention, a kind of throat-clearing without overdoing it. It seems likely to me to be a technique that street-“musicians” of all stripes – before/without the tool of amperage-boosting megaphones – adopted to fashion any sort of recycling, messaged song (from hawker’s cry to what I shall call “begging-bowl opera/beggar’s ballad) to reach out to a consuming/buying open-air crowd. Which in turn makes it part of as well as a response to the noise (acoustical chaos) that always surrounds outdoor anything, most of all the public concert. Or: Huang Doudou (“Yellow Bean”) rediscovers his metier. This little-heralded dance-drama (wuju) is a backstage musical presenting jingju (Peking Opera) from the inside and as seen through a kind of broadway musical production in the making. But presenting and trahsforming one subcategory in particular: the wuxi 武戏. (“Military plays”. heroic in nature, full of loyal generals, glorious emperors, wise ministers, all of whom struggle against traitorous opposing forces – Farewell My Concubine and Hua Mulan, to name 2 we have studied). This was thought of as a lower art form than wenxi (civil plays) because so much of the action was imitation combat, acrobatics and the like. It is played mainy by wusheng 武生, which is the class of apprenctices, who must fist train as acrobat-athletes for the combat scenes (a means of testing their stamina). But forms of Opera both hard as hell to “modernize” or render as hybrid Western/modern. Meaning rescore and rechoreograph such that a Broadway or Soho audience could “get it”, be glued to their seats by (just) watching or listening, without having to endure garbled tutelage from the producer. And without having to recruit audiences by “star”-studding, something that ended with Mei Lanfang’s tours. The musical is also (or even mainly) about the revival of the career of Huang Doudou, quondam star of the Shanghai Ballet, who has staggered from hit to non-hit as a star player in the world of wushu – tumbling, gynmnastics. appurtenances of the Wuxi. (His Hua Mulan was a flop). The drama of this very short piece rests in whether or not his troupe can rescue the form from its relegation as bottom-level pure show, disappearance on hand. And even more on whether, as tghe junior of the “three musketeers” among the apprentices, and loser in love, he can somehow find the way back to or even create dr nobo something even better. Well, while we weren’t looking. A 1-hr plus Broadway style adaptation of the “show” that actually works. 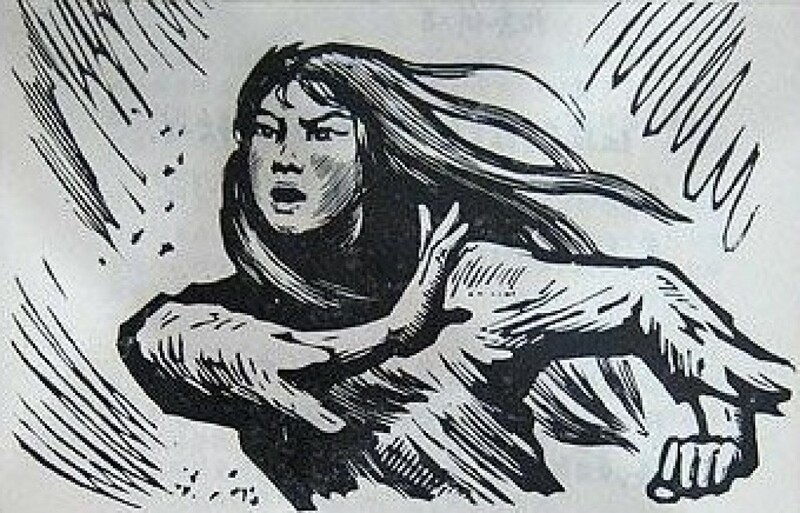 The “libretto” by Lilian Lee, who 18 years earlier had made it to the silver screen with the same subject, in Bawang bieji (Farewell my Concubine, see my earlier posts and the “sword dance”), but managed to keep audiences coming only by studiously AVOIDING anything but the shortest take of genuine or even derivative performance. In fact, hardly any “opera” at all, just backstage stuff and back-back-stage political hackery about the Cultural Revolution. The trick (isn’t it obvious from Maurice Bejart’s In the Mood for Love (2008), a take on Shanghai stage art in the 30s via Zhou Xuan) that scoring it as a musical, with dance featured, was the solution? Well it is. Or rather was: no invite came from abroad. Not exotic or esoteric enough? (GB “Republic of Wine), 1992, may be regarded as Mo Yan’s first venture into the tradition of Swiftian satiric travel-allegory, though (as ever) no advertisement of this kinship appears anywhere. The structure is that of a journey to and back out of a never-never-land insulated from conventional norms and outside scrutiny. As perhaps a reference to the Fijian indigenes “discovered” in one or another 18th century “travelogues”, the narrator lands in a “country” where cannibalism is a major – and privileged – entertainment of the Party elite, who feast on carefully prepared “meat children” (routong) at state banquets. The excursion into a never-land-land has of course a very deep history in Chinese “pulp” fiction of the post-1880s (or perhaps even further back, in Xiyouji or “Monkey”, rerversals (satires) of the clericological travel-narratives sparked by the transfer of Mahayana Buddhism to Tang China. What is presented is “quasi” caprice hiding under the canopy of reportage, a strategy of epistemological “play” that was both useful and “safe” as a means of popularizing trans-oceanic societies and their hardware (at once miraculous and frightening). “Believe it or not, dear reader… but this was what we have seen…”. All this of course is radical tension with the unambiguous run downs on “why the West is strong” and how to redress the balance (fuguo qiangbing and lifa/lixian) pamphlets – filled with alarm and predictions of doom – that poured in mainly as translations of Japanese reformist tracts. So far, “merely” grotesque, or gruesome, though (since the venue is beyond the map- again Swiftian) the claim must be taken as a kind of second-hand rumor, possibly a hallucination or folk-fiction. (Local “peasants” are described as selling their boy children to a Culinary Institute by weight and quality of flesh – but these referents allude to abortion and the (still?) actual sale of children into prostitution or servitude by pauperized peasants – something nervously described in BBWH. Much closer to the heart of the narrative is the pictorial rendering of the “new” business class. Both victims (the children) and those who corruptly extract profits for this and other exchanges are configured in terms of height, bodily height: actually (seemingly) a correlative of aggressive energy, not of inertia or evasion. In fact, the central “actor”, Yu Yichi 余一尺 “12 inch Yu -actually 17)”, proprietor 老板 of the “town’s” most successful “new style” businesses 一尺餐厅 (12-inch Tavern) is but one third the height of the average “outsider”, and limits his hiring to (mainly) female dwarfs.